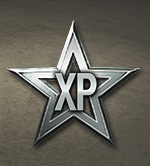 Calculate the experience earned for your tank and your tanks crew for World of Tanks Consoles multiplayer games. 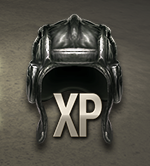 The XP Calculator is a great tool for accurately estimating experience earnt on the battefield by examining the affectiveness of Operation Bonuses in combination with Premium or Elite Tanks, and Premium Accounts. Use in conjunction with the 'Experience Needed' to help calculate the experience required to obtain a tank package or new tank.